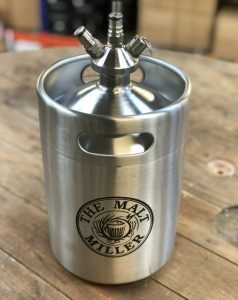 Stainless steel 5 litre keg with screw top. 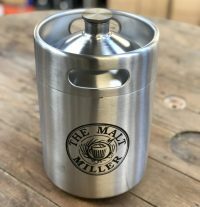 Can be used to simply store beer or keg condition. 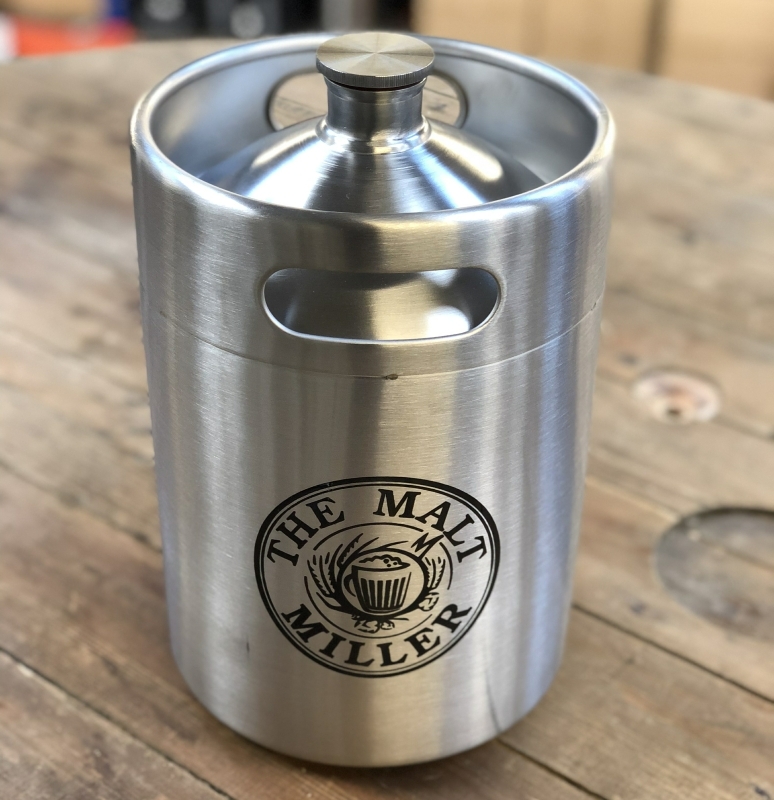 Small enough to fit in your fridge, perfect to take to parties. 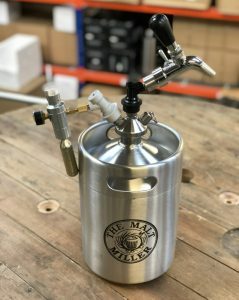 Can be used to force carbonate or keg condition.